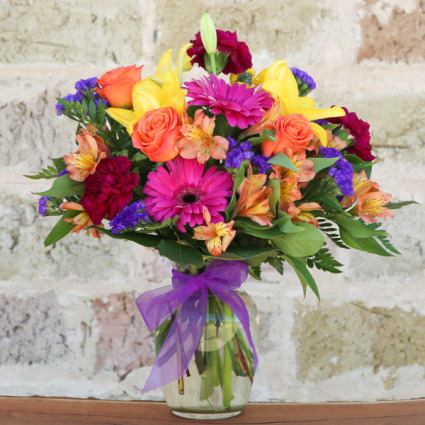 Gorgeous arrangement filled with an array of flowers and colors. Sure to make anyone's day memorable. 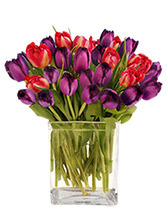 Arrangement offers small, medium and large. SALE! 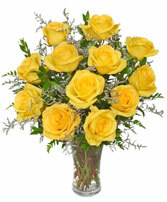 Yellow is the true color of friendship with these sunny roses. 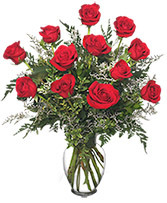 Complemented by misty blue limonium, our Lemon Drop roses are a beautiful way say you care.